As an IBS Student one receives many advantages: a framework with which to analyze problems, a sturdy knowledge of business theory- but perhaps the most important of all is a network of other successful people to tap into. Being a part of an institution which is unparalleled in excellence in business education over 20 years in the country there is a strong sense of belongingness and togetherness that is shared between the 37000+ alumni at IBS Business School. IBS Alumni Federation is a membership organization which has a diverse and rich history of bringing alumni together to support the institute, its students and each other. Alumni and students interaction and mentor-ship is encouraged all year round at IBS to strengthen the bond between current students and the alumni. As mentors, IBS Alumni serve as exemplary examples for the men-tees, the current student to have a clear understanding of their corporate life ahead. The alumni regularly participate in taking knowledge sharing sessions to share their experiences in the corporate world into the classroom for the students. The student’s benefits from this session as they are able to appreciate the concepts learnt in the classroom put into practices in the real world when the alumni take such session. Various workshop and seminars are conducted by the alumni to further augment student’s development at IBS. Some of the workshops conducted regularly include Microsoft excel training workshops, seminars on personal finance, stock market investments, digital marketing, and entrepreneurship to name a few. The students are groomed to be a holistic business professional – to learn beyond the prescribed. To make the students face their final placement interviews with confidence, mock group discussion and personal interviews are conducted by the alumni. Alumni with rich corporate experiences are invited at campus to form part of the jury and conduct mock group discussion and personal interview for the students which enables them to perform better in final placements. IBS Business School has not only nurtured business leaders but also successful entrepreneurs. Alumni Entrepreneurs have achieved great success and their start ups are also ranked amongst the worthy startups in India. The startups are in various industries including eCommerce, financial advisory, digital marketing and education. At the institute regular engagement programs are planned and executed with aim to bring both early stages and experienced entrepreneur alumni together to foster better networking and collaboration between the alumni and students who seek to have their queries resolved with regard to owning a startup, funding dynamics and other details of startup. At IBS Business School we believe that Once a Student- Alumni Forever. The IBS Alumni Federation is for all IBS alumni who seek personal, professional and intellectual opportunities because IBS Advantages continues beyond graduation. The alumni strongly believe that the opportunities for self leadership provided by the institute and the value of community service instilled in them leads them to strive for excellence in all their endeavors. To support our strong alumni community, IBS offers professional development to all the alumni to aid them in contributing towards self and organizational success. Workshops and knowledge sharing sessions are organized for the alumni to benefit them professionally. This serves as an important means to the success of graduates as they continue to network and collaborate with each other, which serves as catalysts to ensure their firms/ business flourish and thrive. This collective excellence contributes equally to the growing generation, the institute and the society as a whole. The institute is active in organizing regular reunions and alumni meets for its alumni to foster better association and collaboration between the alumni. The alumni meet are hosted not only in various parts of India but also in foreign locations like Singapore and Dubai. The IBS torch bearers are spread across the globe in various industries and the alumni meet serves as an important means to connect and re-connect between the alumni and the institute. IBS Business School takes pride in its growing family of brand ambassadors and their accomplishments. Contributed By : Prof. Prapti Paul, IBS Gurgaon, Faculty Member (Finance) & Alumni Coordinator. IBS Business School has been at the forefront of providing quality management education for over 2 decades in the country. It is committed to nurture quality business professionals, outstanding leaders and successful entrepreneurs to contribute towards collective excellence of its alma mater, institute, business organizations and society as a whole. Shopholix (​​www.shopholix.com) is committed to enhance your shopping experience by helping shoppers locate and explore stores according to their needs. The current version of mobile app brings you to the city of Mumbai – where you can discover malls, markets, stores, products, exhibitions, boutiques and much more. The next release would be focused on user personalization and third party integration aiming at consolidating all shopping experience related services under one umbrella like transport, retail payments, loyalty points aggregation, product exchange etc. Chinmay and Abhinav believe the 2 years spent at the institute was very instrumental in embarking on Shopholix . 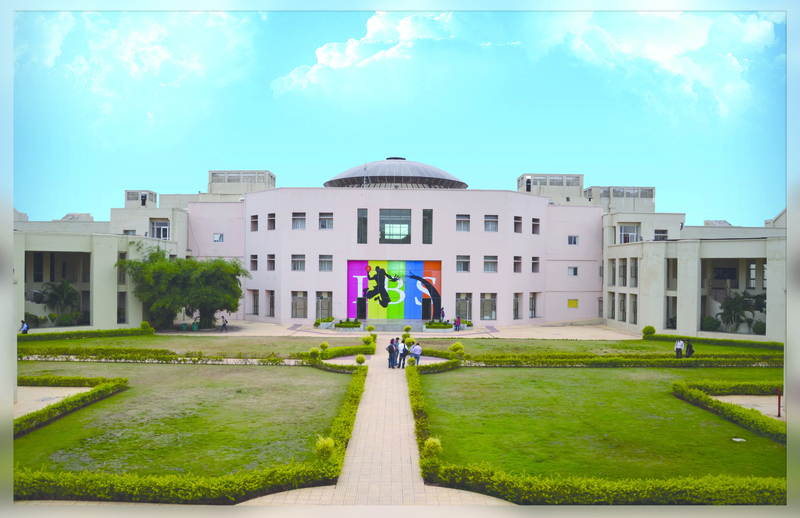 The case based learning methodology practiced at IBS was insightful and inspiring for the students. A great deal of learning took place in projects where they had to collect and analyze the primary data.The faculty had always encouraged them to be out of their comfort zones and taking calculated risks in life.